If the best meal in the world is one that is cooked by someone you love, then it stands to reason that the 2nd best meal in the world is when you get to keep the leftovers. I had a great weekend with Rafe that included our own mini bar crawl, cocktails with friends, and Sunday brunch on Newbury street. The best part of the weekend though, was when Rafe made one of his famous dishes for me (because I was a little too tipsy from the aforementioned bar crawl to be trusted wielding a knife). Now, if you couldn't tell based on the blog, twitter account, facebook page, etc....I'm pretty much the cook in this relationship. But it should be noted that Rafe has a few amazing dishes in his repertoire as well. My absolute favorite is his chicken marinade. The recipe for the marinade will have to come at a later date (I've tried to recreate it but cannot get the ratios down - and have urged Rafe to take some measurements) - However, this particular meal was inspired throughout. 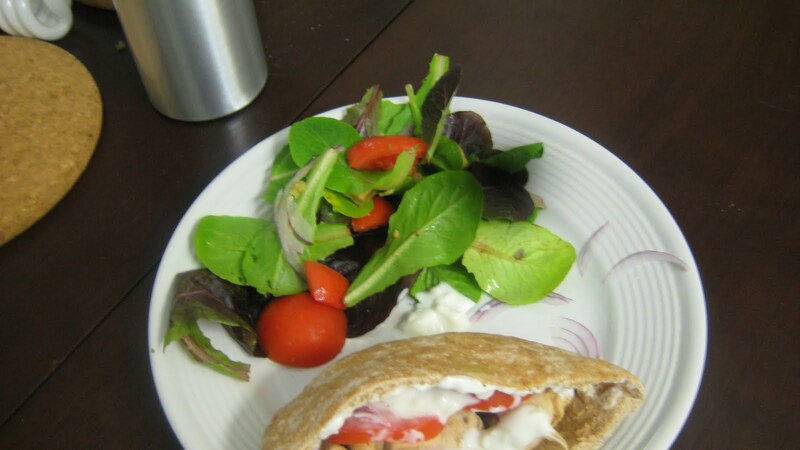 He made Middle-Eastern Chicken pita sandwiches. Chicken, tomatoes, red onion, and tzatziki sauce in a whole wheat pita pocket - (taken with my old camera - new food pictures to come soon) - served with a simple green salad with balsamic vinaigrette. 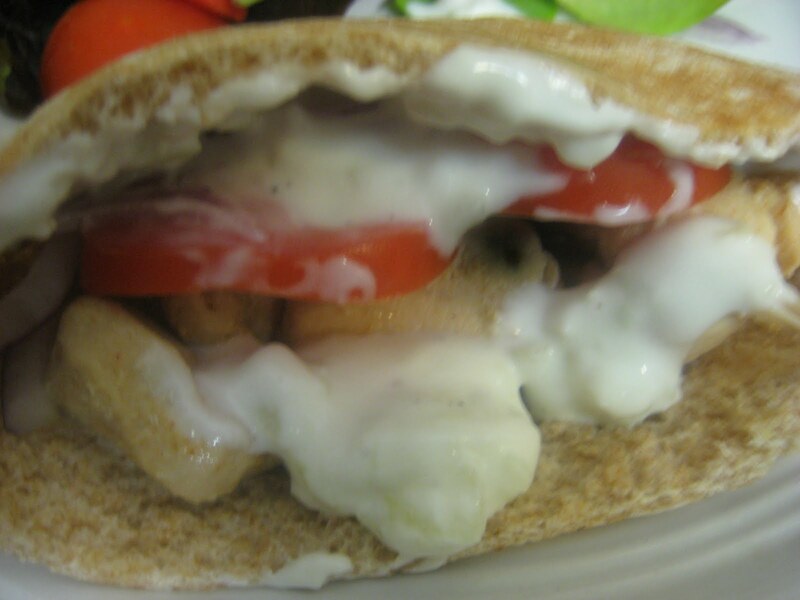 The best part of this sandwich it the tzatziki - a Greek yogurt sauce. Rafe doesn't use measurements, but it includes the following: Plain Greek yogurt, finely chopped cucumber, a little chopped garlic, olive oil and salt. Now if I can just get Rafe to measure out everything for the marinade - we'll be in business! Yum! I am a tzatziki fiend!